Growing up, we waited for those days mother made appams, which was usually on Sunday mornings. As we lived in a coconut orchard, we always had a good supply of dried coconuts in our storage shed. Mom picked a coconut, smacked the living daylights out of it and grated all the sweet meat out. The grated coconut was then ground down to a thick paste, after which she squeezed out the thick milk, and then, watered it down and extracted the thin milk. She then started the process of making the appams by grinding together rice and thick coconut milk to a fine, creamy batter the night before. The batter had to be the perfect texture, consistency and taste, otherwise the entitled critics concerned people in the family would have a field day. 'It's not like Mai's' the first one would say. 'The edges are not as crispy', 'Its too sweet', 'Not sweet enough' - yes, appams divide people, and my poor mom sure didn't have an easy time of it. The batter would then be left out in a large bowl for the wild yeast to do their thing and ferment and raise it. The next morning, the batter would be light as air, full of frothy bubbles and perfect for our Sunday morning breakfast. 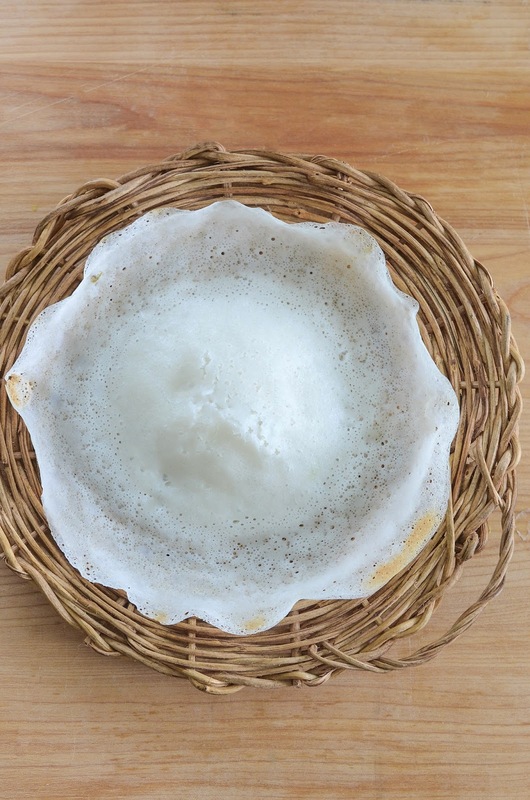 Appams are one of those kind of pancakes that are best eaten straight out of the pan. 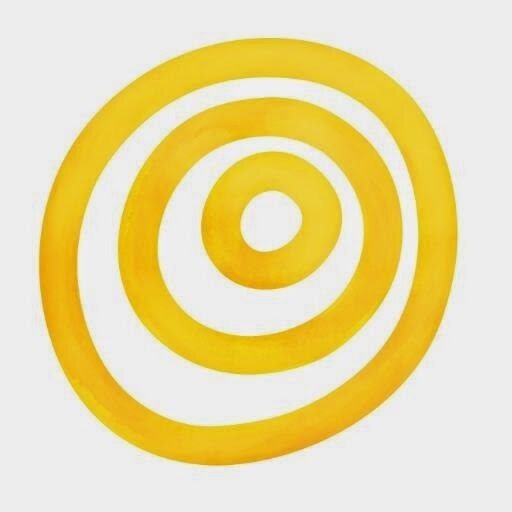 So mom would usually be standing by the stove, frying them up perfectly and one by one, we would dribble and drabble into the kitchen to take our shares. Mom also whisked up some of the coconut milk with a little whole milk, sugar and cardamom to make a sweet drizzle for our appams. The squidgy middle perfectly soaked up the delicious coconutty syrup and I honestly cannot think of anything better. Here in Edmonton, we have to cheat a bit. It's usually not warm enough to proof the batter without yeast, so I usually add a little extra yeast to help it along. I also serve my appams with a light coconut avial, perhaps with seasonal vegetables, may be with some fish (recipe coming soon.) I am mostly grateful that I don't have to go through the whole process of extracting coconut milk, and that my method here is a lot easier than what my mom had to go through. 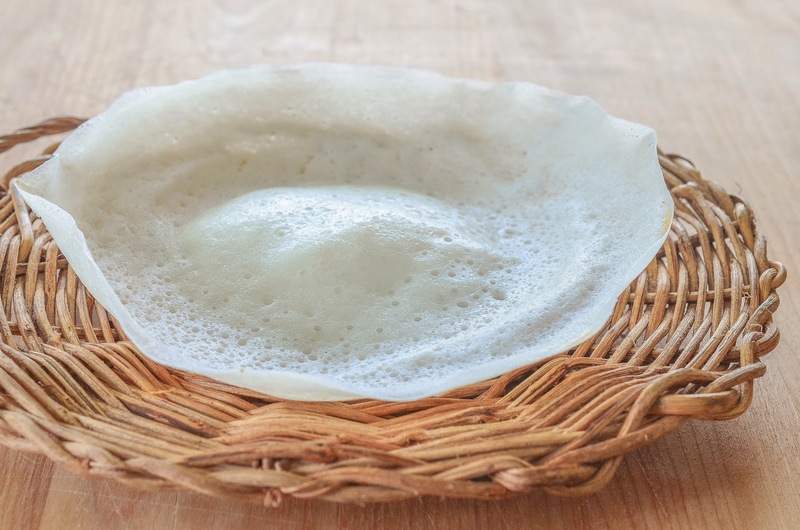 I am still partial to the fresh, hot appams straight from the pan, though, so that's something I love having my mom around for. 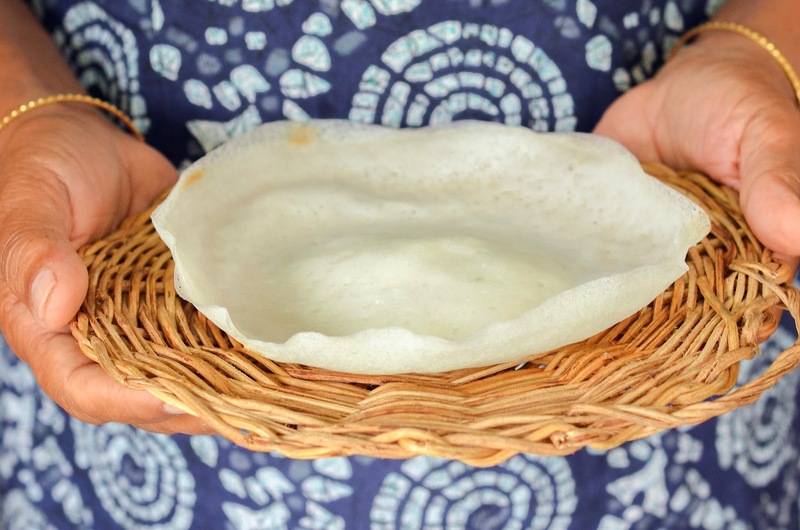 The trickiest part of making appams is mastering the 'swirl' so I've made a handy dandy video to help you out here. Just ignore the cat and kid noises in the middle, thank you very much. So crispy edges or squidgy middle? Soak the basmati and the beaten rice (if using) for at least two hours in cold water. Drain, and place in a heavy duty blender. Add the coconut milk, sugar and salt and blend to a very fine batter. Remove the batter to a large bowl, making sure there is plenty of room for it to rise. Whisk the yeast in the warm water and add to the rice batter. Stir together, and add a little more coconut milk until the batter is the consistency of whipping cream. Season with more salt and sugar, if required. Leave to ferment for at least four hours, or overnight in the fridge. The batter should be well risen, with lot of bubbles on the surface. To make the appams, place a small non-stick wok or appam pan on a medium high heat. Pour in a ladleful of batter, and immediately lift the pan and 'swirl' the batter around the hot pan, until you see a lacy edge forming. Place the pan back on the heat, and cover with a lid. After 1 minute, turn down the heat to medium low, and continue to cook for 3 - 4 more minutes until the edges have crisped up, but the centre is firm and doesn't give way if pressed lightly with a fingertip. Turn out on to a plate and continue to make the rest of the appams in the same way, until the batter runs out. You can keep any unused batter in the fridge for a couple of days. Whisk well before using. Your "cheat" by adding in a little extra yeast is so smart! Oh my goodness, these sound so good. Definitely something I've never tried to make but I'd really love to have a go now. Not sure that I could master the swirl easily though.